Telugu star Mahesh Babu shared an adorable picture with his wife Namrata Shirodkar on the occasion of their 14th wedding anniversary. She said "Bharat Ane Nenu", which also featured south superstar Mahesh Babu, will always be her "memorable film". 'Good News' is my next Hindi film that has been announced. I am very excited and nervous being part of the film because I am working with stalwarts in that film. 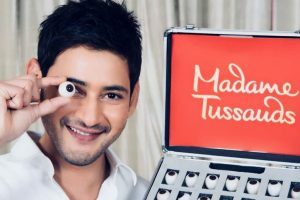 As the Superstar of Telugu cinema, Mahesh Babu, turns a year older today, makers of his forthcoming film 'Maharshi' dropped the very first teaser. 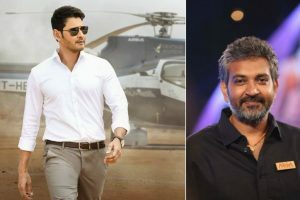 Mahesh Babu is all set to work on his 25th film. The superstar of Telugu cinema is gearing up for his next film and so are his fans. 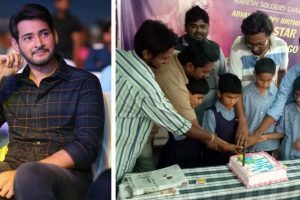 Continue reading "Mahesh Babu’s fans give a shout-out ahead of the superstar’s 43rd birthday"
Continue reading "Mahesh Babu starts preparing for his next movie"
Continue reading "Mahesh Babu surprises fan on her wedding"
Continue reading "Mahesh Babu’s ‘Bharat Ane Nenu’ breaks the box office in its first week"
Continue reading "After Prabhas, Mahesh Babu to get his wax figure at Madame Tussauds"
Continue reading "Mahesh Babu’s ‘Bharat Ane Nenu’ collects Rs 125-cr worldwide in 4 days"